Here’s how to watch Liverpool vs. Bournemouth in the Premier League on Saturday evening (5.30pm BST), live online and on TV around the world. The Reds are back in action on the domestic stage and, after a two-game break, return to Anfield, as they take on Eddie Howe’s mid-table Cherries. Following Tuesday night’s 2-1 victory over Man City in the Champions League, setting up a semi-final tie against AS Roma, Liverpool are now five games unbeaten. Their last defeat at home, meanwhile, came at the hands of West Brom in the FA Cup fourth round, while they still remain unbeaten at Anfield in the league, winning 10 and drawing six. Bournemouth arrive on Merseyside having won just once in their last six outings, and with little to play for they could provide scant challenge for Jurgen Klopp‘s in-form Reds. However, they could still spring a surprise, so can Liverpool quell the Cherries’ attack and secure another three points? Or will Howe claim another impressive scalp? 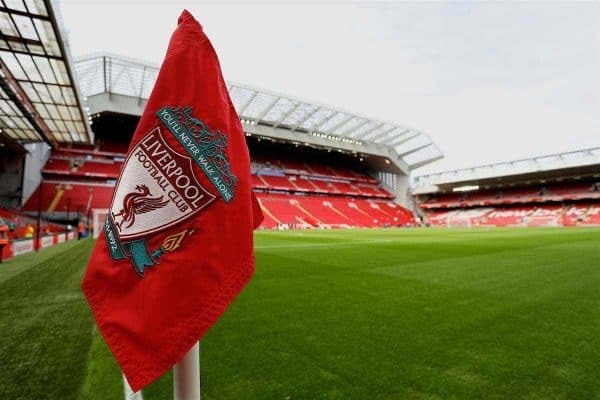 Check This Is Anfield for the latest team news ahead of the match. The match gets underway at 5.30pm (BST)—or 12.30pm in New York, 9.30am in Los Angeles, 2.30am (Sunday) in Sydney, 8.30pm in Dubai and 7.30pm in Nairobi. Liverpool vs. Bournemouth is being shown live on BT Sport 1, which is available to live stream here. To follow the match online, This Is Anfield will have full coverage and live updates throughout the evening. Liverpool vs. Bournemouth is being shown live on NBCSN in the US, which is available to live stream with FuboTV. Get a 7-day free trial here to watch the match live. Keep an eye on This Is Anfield for live coverage throughout the afternoon.